We are engaged in manufacturing and exporting of Forged Pipe fitting like Elbows, Tee Connector, Union and other accessories for Pneumatic, Hydraulic ,Oil & Gas Sector and Water Pipe lines which are extensively used in automotive, household and industrial applications. Pipe fitting are basically manufactured in Stainless steel Forging, carbon steel forgings for Gas sector . Copper forged and Brass forged Pipe fitting are used in sector like Hydraulic , Pneumatic and water pipe line. We supply Precision forged and machined flanges, which is extensively used in pipe line application, oil & gas sector and process industries . 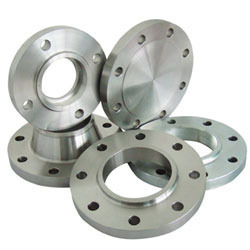 Sourced from reliable vendors, high-grade quality of raw material is used in the production of our flanges. Moreover, it can be easily customized in accordance with client necessity and are delivered on time. 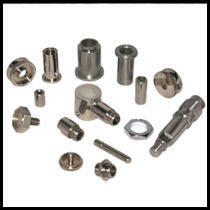 We offer Direct Bar Machined Components, which are known for its effective functioning among our valued clients. These components are highly acclaimed for its high durability, corrosion resistant and sturdy construction features. Furthermore, these are manufactured in compliance with international standards and are delivered within specified time frame. Material: Steel , Brass and Stainless steel. We manufacturer lot of pipe fitting namely. we manufacturer pipe fitting is brass, steel and stainless steel. Looking for Forged Pipe Fitting ?